PUNTAGAVE RUSTICO controlled denominations are a departure from the “business as usual” tequila concept because it delivers “complexity of character.” It does it by featuring a variety of appellations highlighting agave flavors. These esoteric spirits are produced at different altitudes in areas that have their own micro-climates throughout Mexico and just like wine, these esoteric denominations are a result of weather and terroir. What does this mean? What it means is that PUNTAGAVE will demonstrate by different taste profiles and aromas that “terroir” exist in agave, the same way the wine industry has demonstrated it exist in grapes. “Terroir” is the centuries old knowledge that crops draw their “character” from the soil, sun, and temperature they are grow in. Microclimate, terroir-driven spirits of Mexico..... 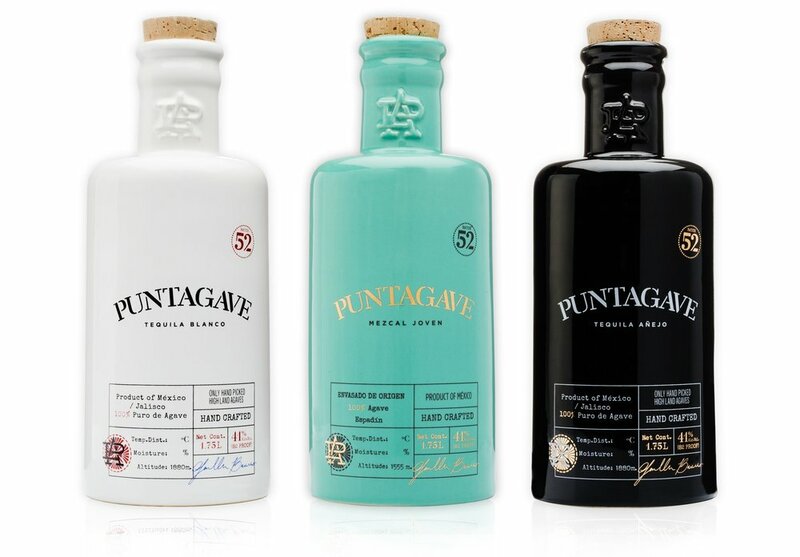 Learn more about PUNTAGAVE here. PUNTAGAVE ARTISANAL Tequila & Mezcal possess a proprietary “Consistency of Character” through an extraordinary blend and a secret “engineered process”. The mindset here is to produce the truest form of Tequila and Mezcal, emphasizing on a high-agave taste profile, even in our aged expression. This process is achieved by the 2nd certified Maestro tequilero in the world M.T. 02 Guillermo Barroso Arnaud. The Artisan line is bottled in a handmade ceramic decanter and sealed with the aged and cured corks we use in our barrels. Unlike glass bottles, the ceramic decanter allows the distilled spirit to evolve over time. The Ceramic homogenizes volatile particles and disperses into a fluid state smoothing and settling the tasting profile furthermore. Don Fulano Tequilas are the fruit of a family-owned company, legacy of five generations of agaveros from the Highland region of Jalisco in Mexico. Don Fulano is a small batch blend from the amazing profiles produced by Tequileña, NOM-1146. View our process here. Tequila Matchmaker review here. BACANORITA: Meet Margarita’s younger sister. Luscious, floral and a total new experience. A different feeling than tequila or mezcal. Crisp, energetic, rugged-pure and strongly loquacious-garrulous. Mucha Liga® is the thrill of the mexican Lucha Libre. Mucha Liga® is a taste of bravery, strength and tradition, all mixed up inside our unique bottles. A masked bottle that hides the real identity of those who fight everyday to get what they deserve. They are the real luchadores that inspire. Our Agave Is grown under the surveillance of Juanacatlan distillery’s farmers, a production model designed to vertically integrate the best from agriculture, human resources to production without hampering the natural and social development of La Ciénega region of Jalisco, soil that meets a high balance of nutrients due to the very few generations of agave harvesting of the area, this factor allows our batches to sample a vast and complex spectrum of flavors and aromas which build a great expression of the relationship among the soil and the flavors associated with the Cienega region where the agave is grown. RAICILLA ESTANCIA is made in the Highlands of Sierra Madre Occidental. Raicilla (Pronounced Rye-See-Ya) is an agave spirit deeply rooted in tradition. With a 400 year history in Mexico, our artisan spirit highlights the floral characteristics of the Maximiliana agave, commonly known as Lechuguilla. From the root or “piña” of the Lechuguilla surface a bouquet of light citrus and floral aromas that are joined by notes of hibiscus, beach plum and pineapple. In comparison to its agave cousins, Tequila and Mezcal, Raicilla is considered the most fragrant and fruity. TEQUILA QUITAPENAS makes sad people happy, rejuvenates the old, inspires the young and makes one forget their weariness and fatigue. MEZCAL ANTONIO AGILAR is made with the same type of agave that Tequila is made with, tequilana Weber also known as blue agave. However, it can not be call Tequila because it is produced outside the restricted area protecting the Tequila denomination. Antonio Aguilar is a Mezcal from Zacatecas. "El Charro de México"
Mezcal Rancho de La Luna by David Catching and Bingo Richey produced by Los Javis. Rancho de la Luna. ABOUT US: In November 1997 the European community gave official recognition to Mexico as the place of origin for Tequila. In that same year Tequila Specialist was founded as a result of a new concept, which is committed to provide our customers with the largest variety of Tequila. Our Product line has grown over two decades into a breathtaking selection of Agave Spirits.